Pharmacy Now is an Australian owned and operated family business which strives to serve our community. With over 20 years of experience within the pharmacy industry we understand what healthcare is about. To ensure you get trusted and professional health solutions every single time. A culture of warm, polite and friendly staff. Trusted pharmacists who will take time to speak with you. A range of tailored and specialized services customized for your needs. A commitment to continual quality improvement and training. Dedication to teaching our next generation of health care professionals. 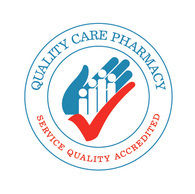 Pharmacy Now is a proud Quality Care Accredited Pharmacy and is a committed preceptor in Monash University's Professional Experience Placement Program.